If solar road studs can't bear the pressure and easy to get apart after rolling or shocking of the car, they can not work normally, so compressive performance is a basic condition of the normal work of solar road studs. 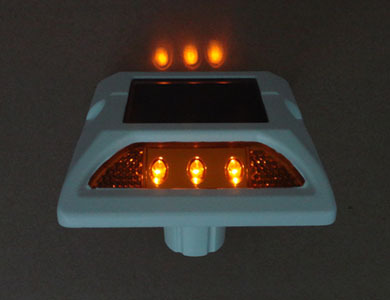 However, the solar road stud itself is a electronic product consisting of electronic parts, thus it is not an easy thing to make the electronic parts have a higher degree of compression performance. In general, the compressive performance of solar road studs is poorer than the conventional road studs. How to effectively improve the compressive performance of solar road studs? If solar road studs are not completely sealed, there would be water seepage, which could cause short circuit with disastrous consequences, so sealing performance of a qualified solar road stud should also reach the standard. How to improve the sealing performance of solar road studs? 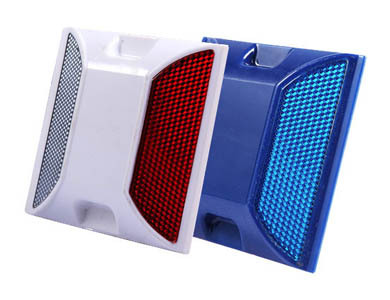 Solar road studs can give out light automatically to make the path outline clear; compared with the reflective road studs, solar road studs have higher light intensity. The requirement of the Ministry of Communications on the index is 2000MCD. Battery life is an important factor that decide the life of the solar road studs, thus the choice of the battery is very important. At present, there are two types of batteries on the market available for reference, one of the battery capacity would reduce to 50% after charging and discharging for 500 times; battery capacity of the other one would reduce to 79% after charging and discharging for 1000 times. If the solar road studs can not work for some reason, it can also compensate in the form of reflecting. Relevant standards for solar road stud products are considered and make in Europe, among which reflective performance is one of the important indicators. Quality is our core competence, and we concentrate on every detail and to be the best in all aspects. 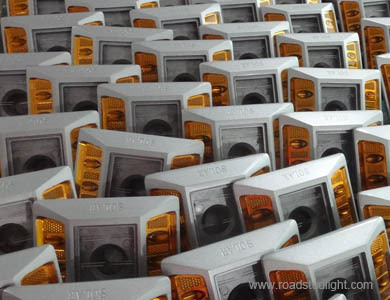 The road stud and solar road markers of NOKIN have won praise from clients all over the world. 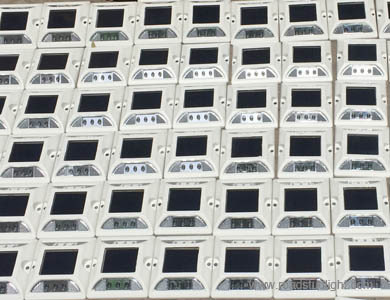 If you are interested in the products and technology of NOKIN, you can send e-mails to us to ask for catalog, and we will reply you in detail as soon as possible.